INTRODUCED BY SENATORS LAMPING AND NIEVES. Read 1st time January 24, 2013, and ordered printed. 8 adopted or implemented without the approval of the general assembly. I support this bill, but International standards and curriculumn should also require approval of the general assembly. IBO is probably more dangerous than common core. It should also be noted that schools that currently have IB courses say the transistion to common core would be easy for them. What does that tell us? Thank you for fighting this anti - American idea ! I'm very greatful to know our Legislators are fighting this! The globalization and indoctrination of our children MUST be stopped ! Thank you for putting the skids on Common Core Standards. But please put a stop on International Standards as well. We are really beginning to look more and more like a Joseph Stalin or Adolph Hitler state. Keep it as local as you can get. 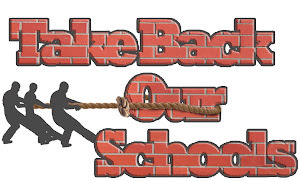 Keep our schools away from ALL government interventions! All they want is power and control. Be sure that you let your State legislators know that you support this. They need to know that you have their back. Again, is this another UN intrusion into our US business? The LOST treaty, The Blasphemy Laws the Internet control, and the Small Arms treaty just to name a few intrusions and now the intrusions into our schools...of course it is a no brainer--there is a drive to shred our Constitution, and sink our sovereignty and it's amazing how many news commentators can't seem to understand "WHY". THE WHY is that there are powers that want us to be "international" with a ONE WORLD "GOVERNANCE" which is a fancy way to say government. And if one still can't believe it - perhaps a book written thousands of years ago- the BIBLE - will explain it - one world govt and one world "leader" it's all there! To have that one world -is to be by consent or conquest - as Pres. Bush stated it...so people- wake up! Getting our children "prepared " and participants in this move is important to these "internationalists!" 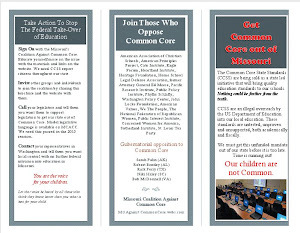 First put a STOP to International Standards- then work on the Common Core- it seems people were smarter in the past- the tests prove it- now we have all these "aides" and the children/young adults are dumber than ever before- common knowledge has given way to selective knowledge and drill and memorization to hit or miss...it's a pity and a great loss of minds! I am a teacher in Memphis but I am from Missouri. 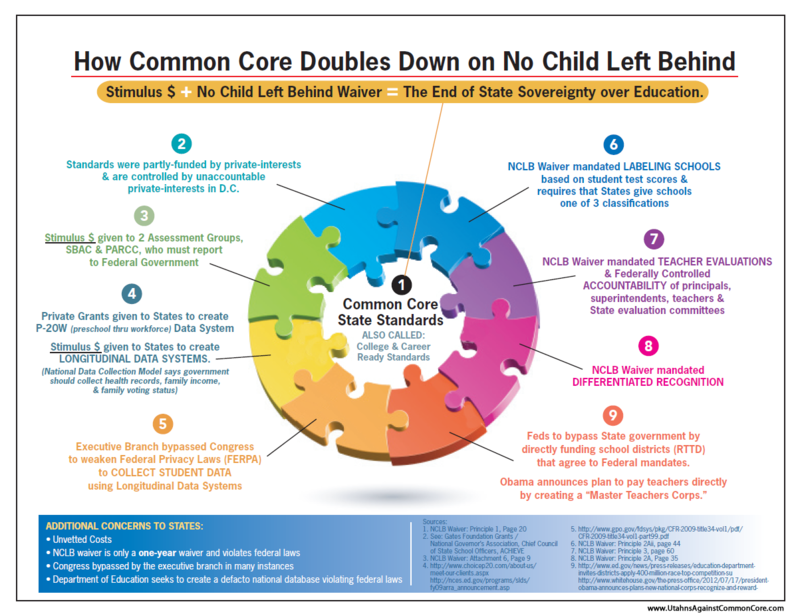 Common Core Simply will set our children up to fail even more than they already have. Education has become so watered down that Jethro Bodine's 8th grade education was superior to what is expected with current trends and Common Core. Many EXCELLENT teachers are considering bailing out long before retirement age, because we are not being allowed to teach children as we have been trained to do. I, for one, will bail out of Memphis and head back to Missouri if they are successful at snuffing out Common Core practices which are controlled by the Federal Government (rather than the State and Local authorities of which our Constitution mandates). I support this Bill, stop dumbing down our children.